Our country spiritually, culturally and historically has occupied a prominent position in the global evolution. Our group is a pioneer in health sciences, basic sciences, literature, art and architecture. Our culture is unique having unity in diversity. However, over the past few decades, a sort of stagnation has crept in our systems and the sub-continent, which was once a leader regressed into a developing country. 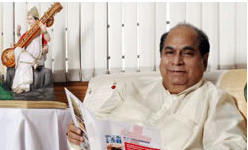 I have given a deep thought to this situation and by the grace of God Almighty, Sant Gajanan Maharaj – Shegaon and Shri Satya Sai Baba, I was shown the path towards socio-economic and ethical transformation of our country is through quality education in all branches of learning from kindergarten to post graduation, from training to research and from research to extension activities. Imbued with this mission, we established academic campuses in Pune, Kolhapur and Navi Mumbai. I am satisfied about the fascinating development of academic campuses wherein, over the past three decades, we have established over 100 quality institutions of global standard in Engineering, Medicine, Dentistry and other Health Sciences, Pharmacy, Hotel Management, colleges in faculties of Arts, Science, Commerce and Computer Sciences and schools et. 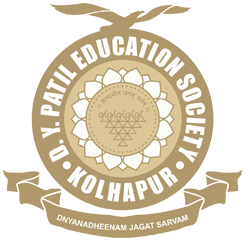 A steady and focused approach to our mission has culminated in the establishment of D.Y.Patil Education Society, Kolhapur which has been recognized by Government of India and UGC as a “Deemed to be University” D. Y. Patil Medical College, Hospital and Research Centre, Nursing College and Center for Interdisciplinary Research are the premier constituent units of the University. It has world class infrastructure and faculty. Medical Council of India has recognized this college and also permitted it to conduct post-graduate courses in about 17 subjects. It is notable that the University has been awarded ‘A’ Grade by NAAC In April 2012. May God bless you in all your endeavors. I wish you a brilliant career.